Construction lending should be safe and hassle-free. Land Gorilla protects construction lenders, contractors, and borrowers from the inherent risks and pitfalls associated with construction lending. 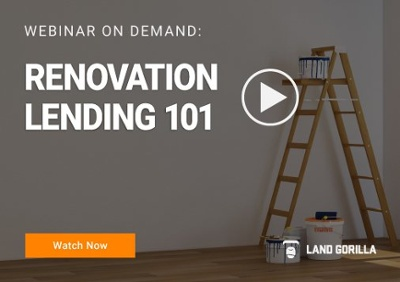 With over 30 years of experience in the construction lending industry, Land Gorilla is pioneering a new era in construction loan management with our innovative cloud-based ecosystem that is efficient, scalable, and 100% compliant. 450 clients, many of today’s top banks, credit unions, and mortgage companies, rely on Land Gorilla to protect their physical, financial and legal interest in real property.